Oat flour contains oat cereal with a large percentage of 20% protein, carbohydrates also possesses sustained release with a large input of energy and food fiber. Rich in vitamins and minerals its use for weight control diets or anemias is recommended. 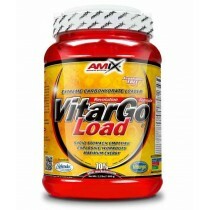 Help has increasing levels of good cholesterol and minimize the bad in a natural and healthy way. 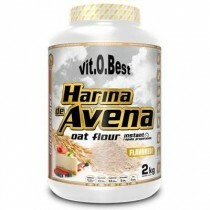 Oatmeal is ground oat with high content of fat put in place, minerals and vitamins. 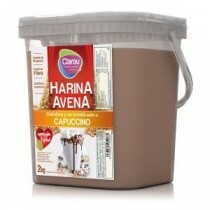 It is recommended for preventing anemia states as most cardiovascular disease. The slow absorption of carbohydrates in the body reduce the feeling of hunger for a very long time recommended in slimming diets. Apart from vitamins, minerals, trace elements and fiber, oats gives you a lot of energy and is an essential food for athletes, for its high content of macronutrients. It is a cereal that has the highest percentage of vegetable fat per 100 grams, covers 1/3 of your daily requirement (65% of unsaturated fatty acids and 35% linoleic acid). Oats has slowly absorbed carbohydrates and rapid assimilation, they provide you energy over a long time, prevents glucose deficiency and the onset of fatigue during intense workouts. Has six of the eight amino acids necessary for proper protein synthesis occurs, so this cereal has a high biological value, too, can be combined with other plant foods, increase the proportion of amino acids, is ideal for your body. 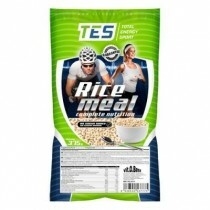 Oatmeal is one of the products most requested by athletes and athletes because it contributes to a proper diet and can get into any meal of the day with very good profile of carbohydrates and proteins, can stand out from other flours 1kilo of vit.obest flavors with a wide range of flavors for all tastes. An ideal breakfast is oatmeal pancakes. They are a good rich and tasty option to start each morning. Who would not want to try some delicious pancakes for breakfast? Just the smell will make you wake up wanting to eat them all. Is currently very fashionable care and have a diet full of healthy food should be remembered that the pancakes are an ideal breakfast with a delicious flavor.
. Generally, the preparation is very easy. . It's a good idea to combine this breakfast with some pieces of fruit, such as bananas. Blueberries and strawberries. , Full of energy to start the day well and keep alert. 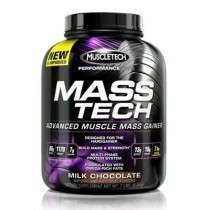 Your profile proteins derived from ovalbumin, all to make your muscles do not stop growing and increase your muscle volume. 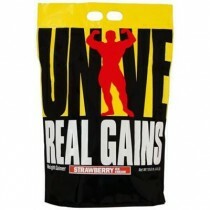 They are an excellent source of energy, improves glycogen levels and promote protein synthesis, so avoiding fatigue. The pancakes are a perfect combination of carbohydrates, protein and vitamins for a balanced diet tasty addition for athletes. This product is a source of energy; oats has carbohydrates slow and easy assimilation that provide energy over time avoiding the feeling of tiredness absorption. 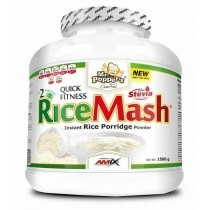 Oatmeal is one of the most complete for its energetic qualities cereals. 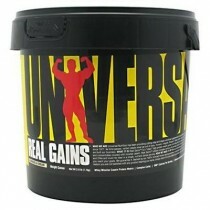 It is rich in carbohydrates, proteins. fiber, vitamins, minerals and trace elements. 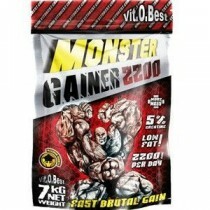 One of the most popular products of oats are oat tortias flavored 700 grams of Vit.obest. Oatmeal is one of the most beneficial and full grain there. For good energy qualities it has been the staple food of the Irish eat civilizations and some towns in Asia. Oatmeal is a rich source of high biological value proteins, carbohydrates and a large number of minerals, trace elements and vitamins. 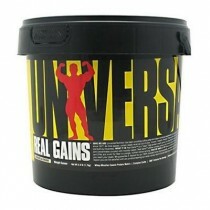 If you want to take oats to increase muscle mass it is a good alternative. You can also include in your breakfast, as a pre-workout energy to carry you before training and as a post-workout to replenish glycogen levels you've spent during your workout. Oats can be transformed into one of your best allies to build muscle, because it is a very healthy food that has protein, carbohydrates and good fats slow digestion. Repártela at different times of the day to take advantage of all its benefits. Slow digestion and good fats. Repártela at different times of the day to take advantage of all its benefits. Vit.o.Best oatmeal pancakes, now with vanilla and chocolate! 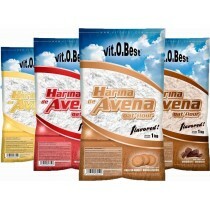 Awaken your senses and meet your nutritional needs. 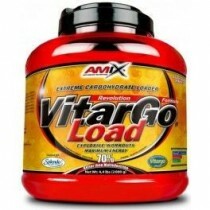 A source of extra energy in carbohydrates and vitamins. 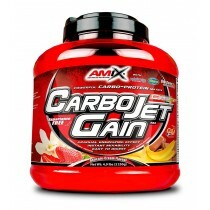 Amix ™ CarboJet ™ Basic contains a database of protein and carbohydrates for energy and rapid recovery after intense activity. Los hidratos de carbono o Carbohidratos están compuestos por carbono, hidrógeno y oxígeno, y su principal función es la de aportarnos energía inmediata. La amilasa contribuye a la descomposición de los carbohidratos en glucosa (azúcar en el torrente sanguíneo) para proporcionarte energía de forma inmediata. Con el paso del tiempo y la nueva concienciación sobre la nutrición y cuidado el cuerpo las personas han comenzado a distinguir entre los carbohidratos simples y compuestos. Los carbohidratos simples se componen de químicamente de uno o dos azúcares, este tipo de hidratos de carbono los encontramos en alimentos altamente refinados y aportan poco valor nutricional. Por lo tanto es recomendable consumir muy poca cantidad de estos. Por otro lado, los carbohidratos, compuestos se componen químicamente de 3 o más azúcares. Este tipo de hidrato de carbono proporcionan al organismo aparte de energía, nutrientes, vitaminas, fibra… y una sensación de saciedad. En la suplementación, los carbohidratos juegan un papel importante tanto en la recuperación como en la creación de masa muscular. Estos junto con las proteínas y las grasas forman los tres principales macronutrientes del ser humano. Los más conocidos podemos encontrar como complementos: Dextrosa, Maltodextrina, Fructosa, Amilopectina o fórmulas como Vitargo, WaxyMaize. Cada uno de ellos es distinto según su composición u origen pueden estar destinados a aportarte energía inmediata o reponerte después de los entrenamientos y complementar las calorías de tu dieta de forma sana y natural.